Royal Ontario Museum's Crystal extension designed by Daniel Libeskind in Toronto. Hyperbolic images made from an equirectangular panoramic image created from 17 photos shot using a Canon Rebel XT with an EF-S 10-22 Lens on a Nodal Ninja 3 panorama head. Creating this image is more complicated than the older planet images since there are simply more images involved. 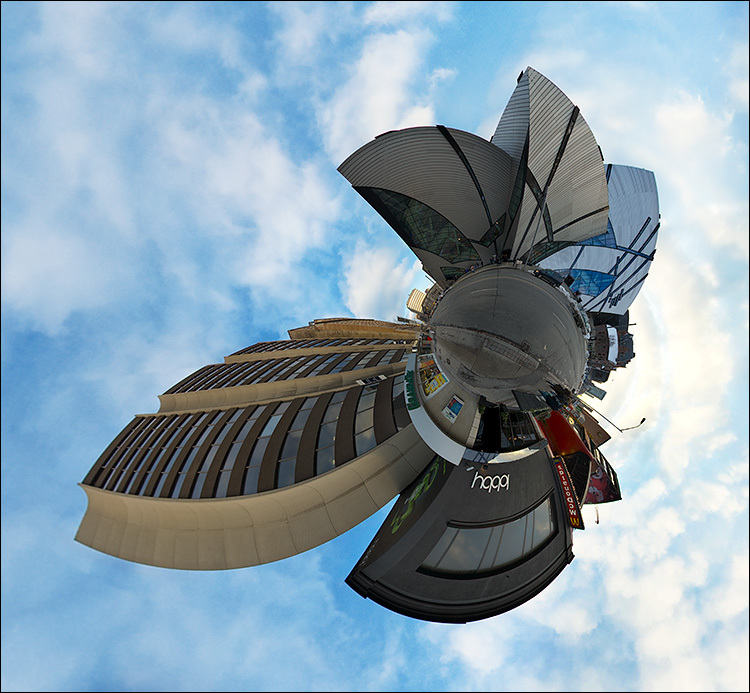 Check out the bigger version and the original equirectangular image.